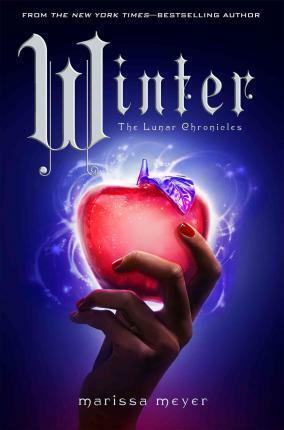 I just finished Winter, the fourth and final installment of The Lunar Chronicles by Marissa Meyer (plus a villain back story and other intertwined short stories). Usually I don’t want a series that I love so much to end, but Meyer wrung as much story out of these science fiction fantasy fairy tales as I think she could possibly find. All of her related short stories are pretty great, though, and I certainly wouldn’t complain if we pick up on some of these characters a few years from the end of Winter. As far as their lives within the limits of their original fairy tales, however, Meyer is done. Goodreads is responsible for me finding this series, buying Cinder, then binging on it during an airplane ride cross country while my infant son lovingly complied with his Mama the Bookworm and slept the whole way home. The first in the series, and an excellent example of doling out a story drip by drip, beginning with compelling characters (seriously, where’s the Iko spin off?*). By the time Meyer reveals the real plot point that drives the rest of the series, you don’t know whether to root more for her triumph in that regard (Spoilers!) or for Cinder and Prince Kai to kiss already. Throughout the whole series, whether or not she can have both is constantly brought into question. 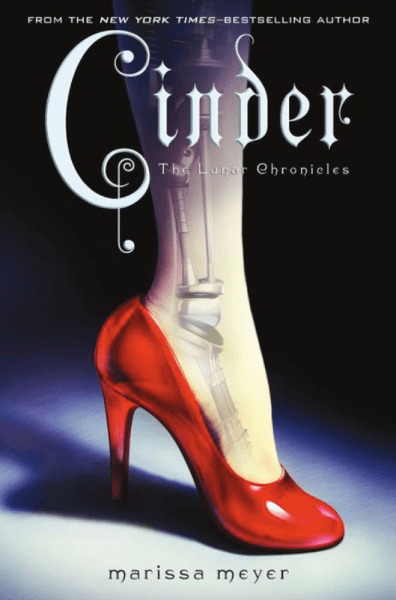 This book really had me at Cinder being a cyborg mechanic, and it never lost that excitement with such a retelling. Meyer makes each separate iconic element of the Cinderella stories her own, but so beautifully weaves them into a futuristic fantasy world that the symbols of Cinderella often snuck up on me, making their reveals even more pleasurable. In contrast, something like Gregory Maguire’s Wicked had me looking for his personal touch instead of them all flowing naturally from the story. I wish this next point didn’t matter so much, but considering how many Cinderellas are blond, it does. Meyer set Cinder in the Eastern Commonwealth, specifically our China, asan homage to what is thought to be one of the first Cinderellas (where magical fish bones are the original fairy godmother, but that’s another story). The second book was harder for me to get into at first but worth the wait. I think my struggle is partly to do with how much I adored Cinder, and Scarlet starts in a different place (The European Commonwealth, in France to us) and centers around a human. I didn’t realize how intriguing I found Cinder right away by virtue of the fact that she’s a cyborg until I found it hard to connect with Scarlet. 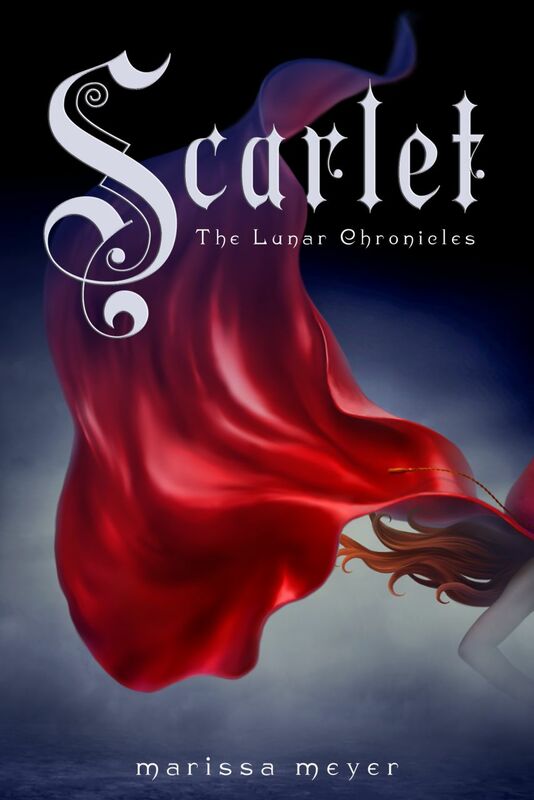 Once I got over that, Scarlet opened up an entire new dimension of the Lunar Chronicles world, giving more clues to Cinder’s story and introducing Wolf! Scarlet and Wolf’s relationship proves to be very complicated, and once again, much more balanced than the fairy tale romances you know. Add to that an incredible backstory for a kickass Grandmother, and Meyer proves once more that she is no lazy storyteller. By the time we meet up with Cinder and the charismatic convict Captain Thorne (more on him later), I was hooked, ready for all the adventure and trouble in which our characters find themselves. As opposed to a lot of novels where the ensemble sometimes seems to get into fights just for the sake of having conflict, the internal struggles of our team are well motivated, complex and difficult. Did I mention Captain Thorne? Ok, good, because next up is Cress. This one was probably my favorite to read. I thrilled in all the storylines converging, getting separated then merging again. Plus the reimagining of Rapunzel tickled me in the same way as Cinderella: her tower is a small satellite, and she’s a hacker for Queen Levana, the nemesis of our heroines and heroes. It’s hard to get into this story without offering spoilers, but suffice to say that Meyer pulls no punches in her interpretation. Cress’s relationship to her captors is complicated; her hair and ‘tower,’ though symbols of her imprisonment, are hard to leave; she must find her way through a desert, and her “Prince” loses his eyesight (the source stories blind him when he falls on a bush of thorns, so then we understand where Captain Thorne falls into the picture). Thorne and his relationship with Cress (not even moving beyond potential in this novel) brought me right back to school-girl crushes. As great as Prince Kai and Wolf are for Cinder and Scarlet, respectively, Thorne takes the fairy tale romance to a new level. 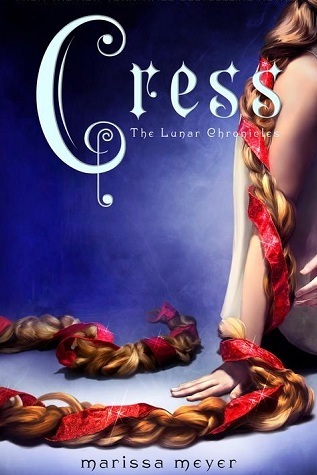 How Meyer creates a deep friendship out of a trope that Cress herself acknowledges is testament to her maturity and concern for her characters – and by extension, her teenage readers. In between Cress and Winter, Meyer published Fairest, the backstory to our villainess Queen Levana. I haven’t read it yet, possibly to keep something for when I get the itch to return to the world of The Lunar Chronicles. In Cress, we are introduced to Jacin, a Lunar Guard with unclear intentions but seemingly trustworthy, until he isn’t. It turns out that he is the childhood friend and desired love of Winter, our Lunar Snow White. She doesn’t use the mind control gift enjoyed by Lunars because she feels it is immoral, and that has her going mad. Again, to go into too much detail basically gives the whole series away, but we are treated this time to an entire novel set on Lunar (with a few people en route). All of our ensemble play integral roles and hold their own even as their relationships and characters must fight internal and external forces in order to remove Levana from the throne and stop her from conquering Earth. WIth Winter and Jacin, we are once again reminded that Meyer can write a damn good love story, a unique story with mutual respect and proving that both females and males can be vulnerable, strong, stubborn, gracious, right, wrong, and above all, equals. Yet, the love stories are not even the main events in these books. Loyalties are tested and crossed, politics mingle with mind control, and an incredibly devoted team fight through so many dangers that I wonder if Meyer herself knew how to get them out of the traps she herself set. It was a great ride. I always approach YA asking if it would have impacted me as their target audience, a pre teen or teenager. I would have read the hell out of this series as a teenager, and made sure all my younger cousins read it too. 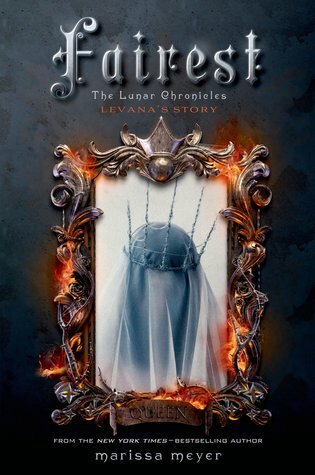 Male or female, you should introduce the young adults in your life to The Lunar Chronicles. They are equal parts Firefly, Star Wars and fairy tales. *Silly me. Iko has her own graphic novel! 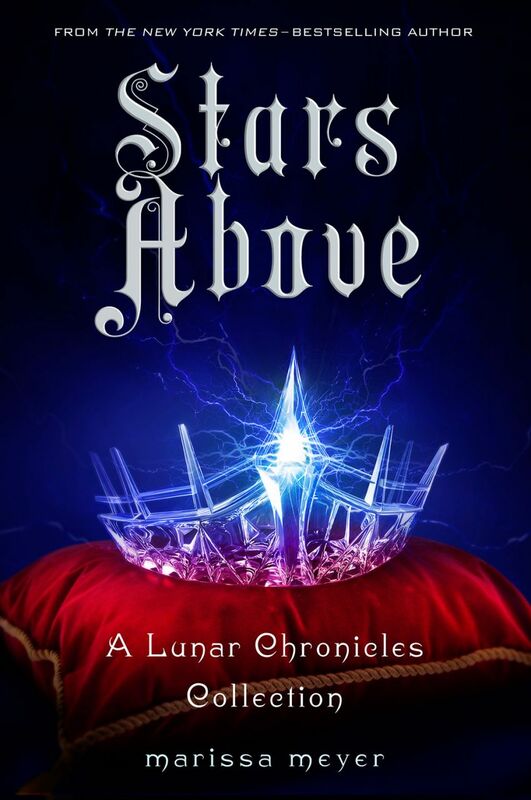 Have not read the other supplemental to the series, Stars Above,which is a collection of short prequels and explorations of the Lunar Chronicles world, including a Little Mermaid story and a preview of a Queen of Hearts novel.